The following article is dedicated to Mark Thomson, UK Ambassador for Glenfiddich Single Malt of Williams Grant & Sons, and Iain Russell Brands Heritage Manager of The Glenmorangie Company. Thank you for inspiring me to write this article. I will write whisk(e)y in this article out of respect for the amazing inspirations I received from Scottish Whiskys. In the year 1531 Henry the VIII (28 June 1491 – 28 January 1547) attacked ecclesiastical institutions of the Western Roman Catholic Church in England and with this decision powers shifted. Let’s question some of the common historical statements about this time and our beloved whisk(e)y. Is it true that Scottish rural farmers distilled excess grain before 1531? 1494: The Exchequer Rolls contain an entry that indicates that Friar John Cor produced aqua vitae whisk(e)y. 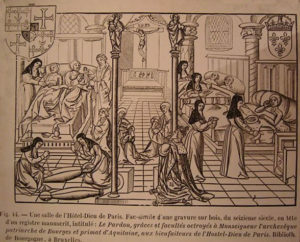 This proves that the church was involved in the production before 1531. In 1505 King James IV granted the “Guild of Surgeons and Barbers” in Edingburgh (which later became the Royal College of Surgeons) an exclusive license to manufacture aqua vitae but he also banned the production of raw and flavored aqua vitae for anything but medicinal purposes. So the character of sales was still structured as a monopoly thus the monopoly of the church shifting towards surgeons and healers. 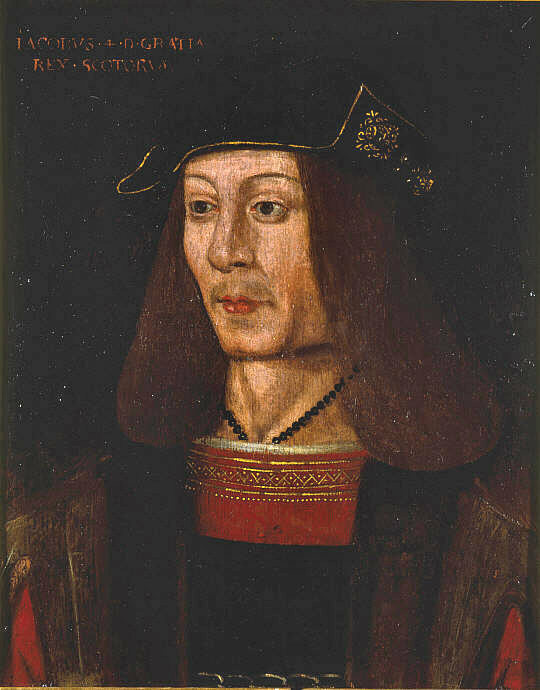 1506: Scotland’s King James IV treasurer noted for September of that year “For aqua vite to the king” But this source does not say if the whisk(e)y was from clergy production or not. And, it is also unclear if this aqua vitae for the king was distilled from grains. At this time distilled spirits made from wine, Cognacs and Brandwein, were a popular drink among nobility. 1614: The Parish of Gamrie / Banffshire, in fact a private house, was mentioned in the Register of Privy Council because of an assault crime and break-in that destroyed in the act some aqua vitae of the owners. This sources states that private house owned aqua vitae but its origin of production and if clergy was involved in its production remains unmentioned. 1500 marks the beginning of the Little Ice Age: Despite being not a real “ice age” per definition this period brought colder winter periods in Europe and North America. There are sources that prove that canals and rivers in Great Britain and the Netherlands were frequently frozen, in the Scottish Highlands some mountains showed snowy peaks year-round. The time period after 1500 is known for less productive harvest years and growing poverty – nobility preferred products distilled from wine – so do we believe there were peasants before 1531 with enough surplus of grain to distill whisk(e)y for commercial sales? Do we believe the Guild of Surgeons and the health industry would not have started to take measures against competition? Is it true that the church had a monopoly of distilling? That is a tricky question since the Roman Catholic Church could indeed be called an international operating company and one needs to take into consideration the legal and political backgrounds of each region the church was active. Of course. the church focused on preserving its knowledge and passed it on in-house. Among other professional skills the church was known for distilling healing tinctures as well as for beer production, and some monasteries are still today following some of these old recipes that they protected and preserved over time. The first to compete with the church were surgeons and healers, but this did not open the market for private commercial distilleries as we know today. So when did commercial aqua vitae sales start? When did distilling become a craft for everyone to learn? We can prove that the first book about the art of distilling was written 1500 in Strasbourg by a German surgeon and alchemist named Hieronymus Brunschwig (ca. 1450 – 1512). He very likely learned his trade from one of his mentors around 1466, a famous German doctor from Würzburg named Hans Pfarrer. 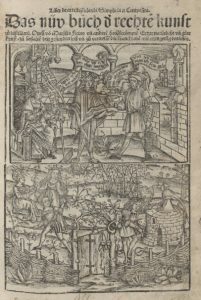 Brunswick’s book was translated in 1517 by Thomas van der Noot to Dutch language, and in 1527 Lawrence Andrew published the first English translation called ”The vertuose boke of Distillacyon of the waters of all maner of Herbes“. It was translated by Johann Günther in 1559 as well to Czech language. 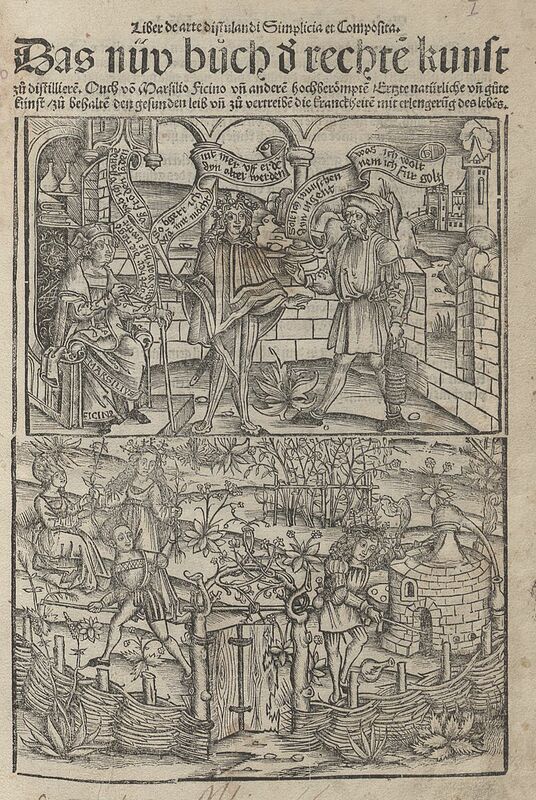 This distilling book was mainly written for surgeons, doctors, healers and pharmacists, and first in history, it made the art of distilling accessible as a craft for non-clergy and common people. 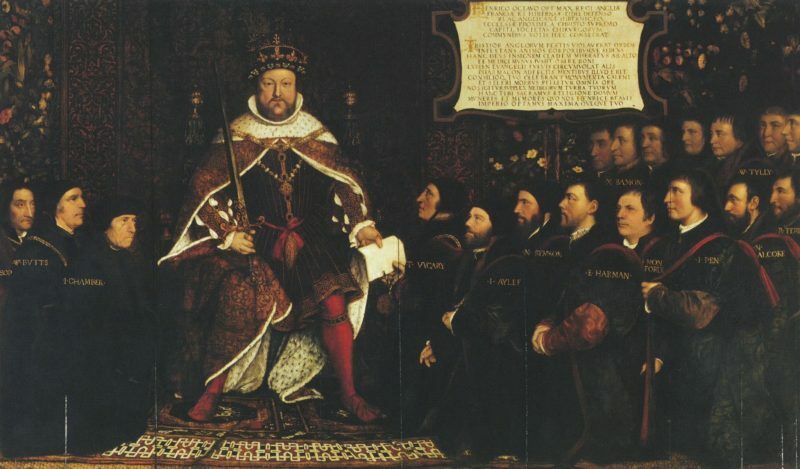 This book was published in English just 4 years prior King Henry the VIII reforms in 1531. About a hundred years later 1638 the Worshipful Company of Distillers, a Livery Company of the City of London was granted its Royal Charter by Charles I. The company was given the power to exercise a monopoly on distilling and regulating the distilling trade within the cities of London and Westminster within a radius of 21 miles. This monopoly was still focused on the production for medicinal purposes, and it heavily regulated the market – away from church control. So whisk(e)y consumption for pure pleasure as we know it today was a later cultural development and high proof grain spirits were mainly used for medicinal usage around 1531. When opened the first distillery in Scotland? And how independent was this distillery? 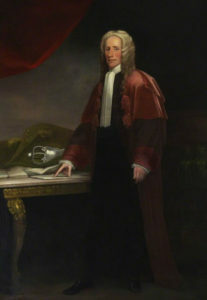 Lord Duncan Forbes, 1685-1747, painting probably by Jeremiah Davison. Forbes House Museum | 215 Adams Street, Milton, MA 02186 © Forbes House Museum. All Rights Reserved. 1644: The Scots Parliament passed an Excise Act regulating taxes on distilled spirits for the first time. 1690 is the earliest reference to a distillery in the Acts of the Scottish Parliament: The famous Ferintosh distillery owned by Duncan Forbes of Culloden (1644-1704). Due to the political positioning of the Forbes family, supporting the Glorious Revolution of 1688 they received a tax exempt deal to continue their “Trade of Brewing” at their “Ancient Brewery of Aquavity”. This far lower excise tax enabled them for the first time in history to promote their products far better than their competitors and competing to products such as beer. 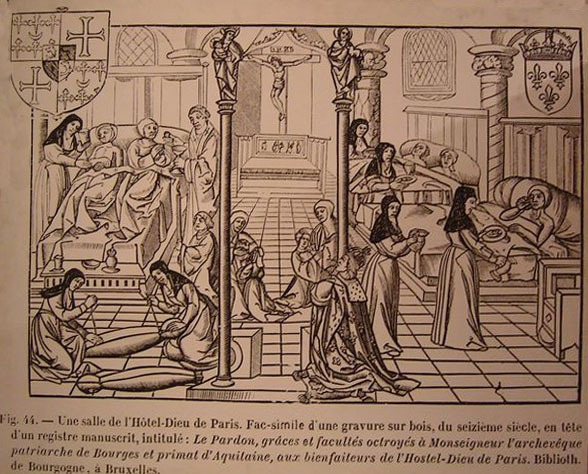 I believe it is likely that the Forbes family distilled aqua vitae before 1690 – especially for medical purposes thus there is no proof that neither a clergyman, physician nor healer of their family supervised their production. 1690th – The consumption of spirits changed end of the century. 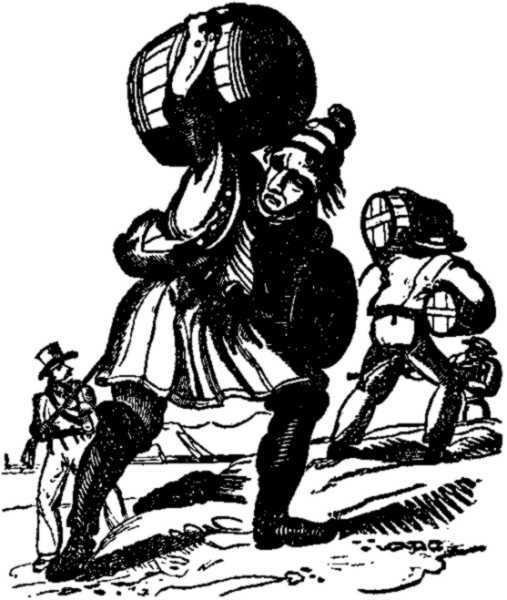 Mainly taxes and political ambitions caused a situation in 1694 where gin was sold cheaper than beer. This resulted in a cultural advancement of drinking habits – and for the first time in history the monopoly of the pharmacists and healers was broken by commercial distilleries. One may argue that without the tax exempt the Ferintosh distillery might not have operated as successful as it did. So was the distillery really independent or was being sponsored by the King causing a dependency that needs to be discussed? In 1690th the British Parliament paved the way to encourage British gentleman farmers to distill corn into gin after some successful harvest years. High duties were held on spirits that were derived from anything other than corn, and this caused a gin surplus in 1694 – causing gin prices being below beer prices for the first time in history ever. Tricky Trivia question: Which country had the first commercial distillery? Scotland, West Indies, Brazil or North America? Scotland: 1690 – Ferintosh distillery officially started commercial production producing predominantly beer and whisk(e)y. This can be considered Scotland’s first commercial distillery. West Indies: 1651 – Barbados records prove the existence of Rumbillion alias Kill-Divil which was made from sugar canes and was described as quite terrible by the British. It is likely they could have produced the popular rum for commercial purposes but there is no proof of commercial trade at this early year. Brazil: 1620s Although there is no distillery name recorded, rum was found in tin bottles on the Swedish warship Vasa that sank in 1628. So, the Swedish could have bought rum in Brazil. This implicates trade but delivers no proof of a commercial distillery nor its name. North America: 1664 and 1667 the first large rum distillery in the British colonies of North America started production in Staten Island, New York 1664 and 1667 in Bosten Massachusetts. 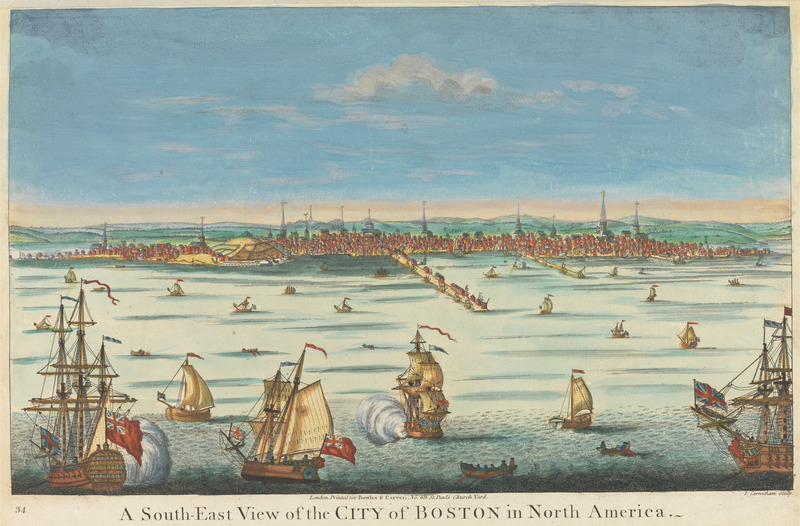 As a matter of fact, it became Colonial New England’s largest and most prosperous industry. The strategical location was ideal – the area was a center of technical competence useful for distilling – metal workers, and cooperage skills were available. The rum produced was described as light and perhaps with a more like bourbon character due to aging in American oak barrels. Rhode Island rum joined gold as an accepted currency in Europe for a brief period of time. American commercial distilling is as a matter of fact a wee bit older than commercial Scottish productions. It is correct that in Scotland aqua vitae can prove to be produced earlier in a commercial distillery but we cannot completely rule out that the older North American Distilleries which were focused mainly on popular rum production did not produce one or the other “additional” barrel of grain spirit. And, maybe we will find in the future some documents that may correct our understanding of history. In this sense, cheers to our ancestors in the 16th and 17th century on all continents that helped create wonderful whisk(e)y as we know it today. And, a tribute to King Henry VIII who paved the way towards commercial distilling with his politics in 1531. Preview – coming soon: “Early distilling in the US”, “Alchemists – discoverer of alcohol distillation” – subscribe to our NEWSLETTER.